This product includes only the woodworking plan and instruction booklet used to build the project. 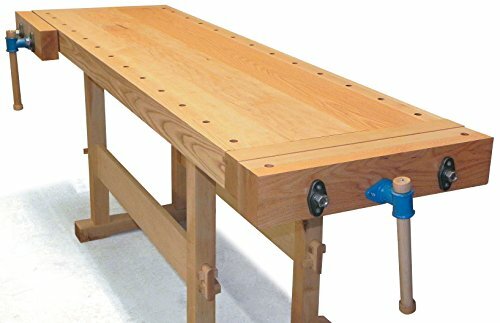 The Acorn Workbench has a full-width end vise and a double row of dog holes. A face vise of the same design is mounted flush with the opposite end of the bench. The vises are supported with steel guide rods. Manufacturer: American Furniture Design Co. Publisher: American Furniture Design Co. Studio: American Furniture Design Co. If you have any questions about this product by AFD, contact us by completing and submitting the form below. If you are looking for a specif part number, please include it with your message.